Courage is a necessity in life. Mark Twain once said "Courage is resistance of fear, mastery of fear - not absence of fear". We all experience times when we would rather take the easier path than the one that is new or challenging. That is when our courage helps us push through the fears and uncertainties and go after our dreams. Mental Courage gives us the strength to face fear, danger, or uncertainty. Physical Courage allows us the stamina to deal with pain, illness, rehabilitation, hardship or death. Moral Courage provides us the capacity to act ethically when dealing with scandals, embarrassing situations , or humiliation. Your fear may be telling you things like you are not good enough to go for that promotion; or you’ll never lose the weight and get into shape; or you don’t deserve to start a new relationship after the last one ended badly. Muster up your courage, face your fear and go for the things you want in your life. 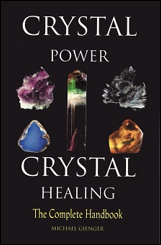 While professional help is important in severe cases, the use of crystals can be very beneficial in dealing with feelings associated with courage. When needing courage, use a red colored crystal. Red is the color of passion, energy, and life. It can help motivate you. It is a very strong color—the color of fire and blood. It is emotionally intense and affects humans by raising their blood pressure and speeding up their metabolism. Red is a call to action, a battle cry, and a sign of warning. It excites us, raises our enthusiasm, and gives us energy. Red crystals are used when the situation needs passion: active, involved, energetic action. Red empowers, uplifts, and engulfs. It cures apathy. It gets things done. Red is action and drive. If you are suffering from a lack of power, listlessness, or a low emotional state, you need more red. Like the scarlet ray, the red ray brings us a self-confidence built on fearlessness. When the need is for action without hesitation or self-doubt, use a crystal with a fiery ray of bright red. We suggest using red colored crystals such as Red Labradorite, which will filter out negative energy that can cause you harm, or Red Amethyst with its addition of Hematite is a crystal that brings the amethyst the additional energy of courage, tenacity, inner strength, romance, and passion. You might also try Red Spinel or beautiful Sunstone. Red Labradorite will filter out negative energy that can cause you harm. This is one of the most powerful magical protection talismans known. Red Amethyst combines the energy of the Amethyst and the rich red energy rays of Hematite. The Red Amethyst is useful for repairing damage from wounds to someone's sense of worth. Red Spinel with its fiery scarlet red color is a crystal of physical energy, vitality, and protection. With the radiance of the sun and the fire of the solar ray, Sunstone carries the energy of Ra, the sun god, whose energy brings all potential life from within the Earth. Judy Hall suggests using the Bloodstone, also known as Heliotrope, to promote courage, calm the mind and improve your decision-making skills. In today's world the Bloodstone is known as the "stone of courage" that will aid you to find creative ways to keep your life in balance. 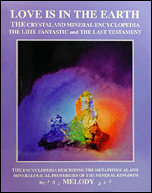 Melody advocates the use of Pietersite to see beyond the current situations and strive for the "ultimate experiences in life." Pietersite is a calming agent; a powerful meditation stone that often brings almost instant relief from stress and elevated levels of negative energy. Philip Permutt suggests the tiger eye to give you "strength to be brave." The Tiger Eye is used for spiritual healing of issues related to conflicts between emotions and one's true inner path. Michael Gienger finds that Carnelian stone is useful when things are out of sorts but you are not sure where or why. Carnelian is a stabilizing crystal, perfect for anchoring in the present. Its high energy helps restore lost vitality and motivation, and stimulates creativity for new pursuits. Courage is the act of no letting your fear stop you from going after something you want. It replaces the negative self talk with the "I CAN" attitude. Please seek professional care for serious issues. When needing courage, we suggest using a red colored crystal such as Red Labradorite or Red Amethyst to empower and uplift you to get things done. 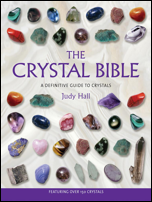 Or perhaps try using crystals other writers have found effective such as Bloodstone, Pietersite, Tiger Eye, or Carnelian.